Stockit will happily accept partial deliveries, and will even let you release partial kits to avoid holding up production. 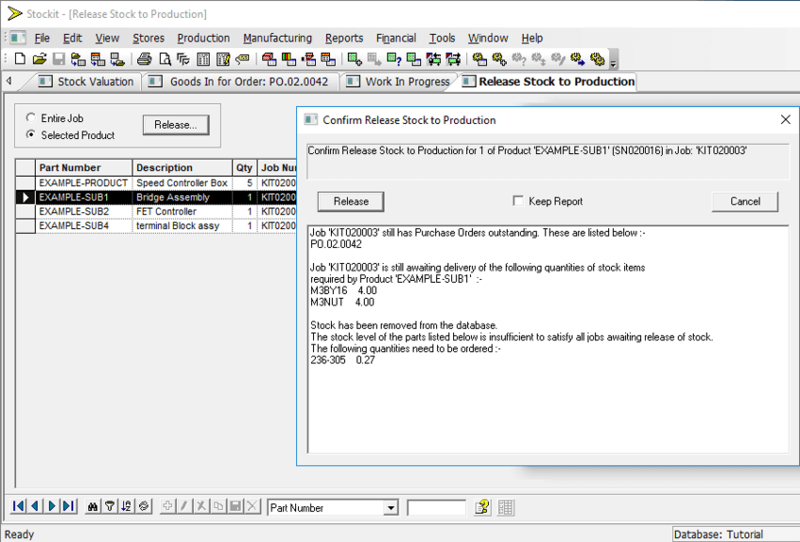 Full visibility on the status of orders and production jobs is provided, allowing you to easily track the progress of orders and jobs through the system. Stockit lets you place and accept scheduled orders, and you can also specify minimum order levels to ensure that you always maintain a buffer stock for emergencies.